Enjoy Safeline 55 A, we send contact lenses at home, comfort and good price. 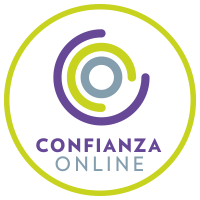 Safeline 55 A is a brand of monthly contact lenses created by the Italian group Safilens. Safeline 55 A represents a fundamental breakthrough in the sector. The combination of a state-of-the-art material with innovative design and the most modern product technologies. Safilens sets new standards of quality, safety and comfort. The main feature is the gel solution contained in the natural biopolymer, which is released little by little into the eye, stabilizing the tear. This system consists in the gradual release of the hydration of the contact lens to the eye, so that both remain balanced hydrated until the end of the day. This system protects the cornea and connective tissue keeping them healthy. 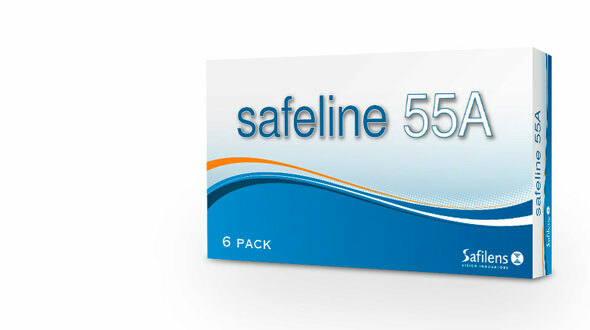 Manufactured in Methafilcon A material and with an average hydration of 55% in water content, Safeline 55 A is a monthly lens with a high comfort index from the first hours of use to the last. They have a large range of parameters, correcting myopia up to -12.00 and farsightedness up to +6.00 diopters. The maintenance of these monthly lenses should be done with a single solution or a peroxide, following the manufacturer's instructions or under the guidelines set out by the trusted professional optician. Cheap Safeline 55 A lenses have a UV filter in their structure, increasing the protection of the eye against solar radiation. Even so, it is advisable to wear sunglasses when wearing contact lenses , protecting the eye 100% of UV radiation, against the impact of foreign objects and environmental factors that can dry contact lenses. As we can see when uncovering a Safeline lens, they have a light blue color, it is a handling dye, making it easier to handle and locate them in the case. Why use monthly contact lenses? The monthly contact lenses are the most used by users, having several advantages over conventional lenses. Every month we start new lenses, which means that the ocular aggression against the deposits is minimized, the accumulated remains on its surface do not have time to denature and be harmful to the eye. For this it is necessary to respect the expiration of the contact lenses, the month is thrown and we start new ones. The graduation is updated frequently, every 6 months is the recommended time to review it, with which, we always see well. If one lens breaks down, we start another, we do not have to wait for the manufacture that can sometimes be heavy. The maintenance solutions are usually gentle for the eye but effective for cleaning, avoiding allergic reactions to aggressive components for the eye. The materials of the monthly lenses are state-of-the-art, which provide a large amount of oxygen to the cornea, maintaining eye health and white eye. You may not find the brand of contact lenses you have acquired in your optics lately among our brands. That may be because your cheap lenses have a name created for the optics where you bought them (a lens with the same characteristics as the original but with another name). 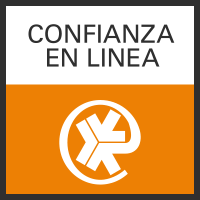 In Prodevisión you can buy Safeline 55 A cheap contact lenses quickly and with secure payment.